The dogs, which included adults and newborn litters of puppies, were allegedly found Tuesday in small pens with plastic wire flooring by the rescue group and the Kankakee County Animal Control. The dogs were also exposed to high levels of ammonia and were suffering untreated eye infections, respiratory and dental issues, Animal Rescue Corps said. Around 80 small dogs were rescued after being found in neglectful conditions at an alleged Kankakee home breeding facility, according to rescue group Animal Rescue Corps. Animal Rescue Corps said they received a tip about the alleged facility from The Puppy Mill Project and got a search warrant for the home by obtaining code violation documentation from the Kankakee County State's Attorney's Office. 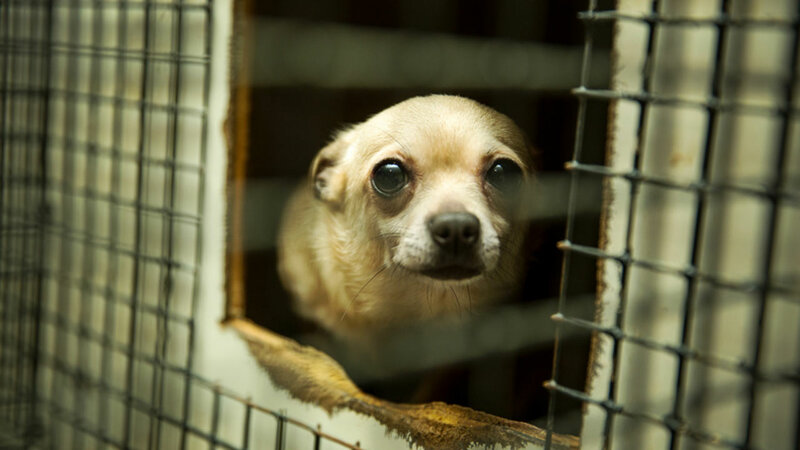 The dogs, which include Chihuahuas, Shih Tzus, Yorkshire Terriers and Poodles, have been taken to an emergency shelter where they will each receive treatment and vaccinations. Animal Rescue Corps said it will continue to care for the rescued pups until they're placed with an approved shelter, where they can be adopted into a new home.